At Disney's Animal Kingdom, the Oasis is the Main Street USA of the park, drawing visitors in to a lush, tropical world. 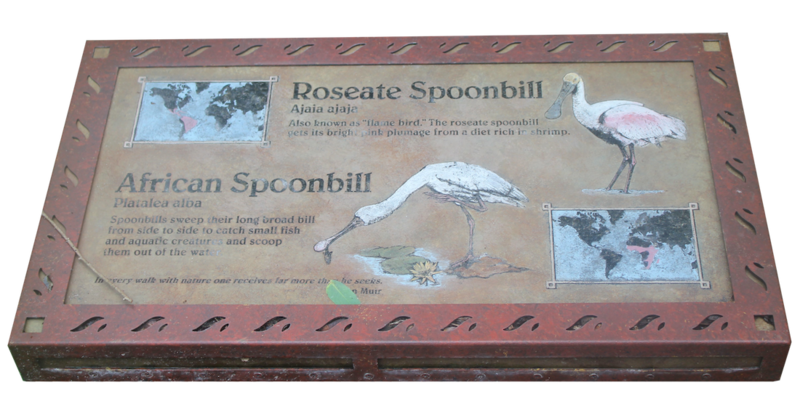 The first birds you come across after entering the gates are the Roseate Spoonbills, these beautiful birds with vibrant pink plumage. 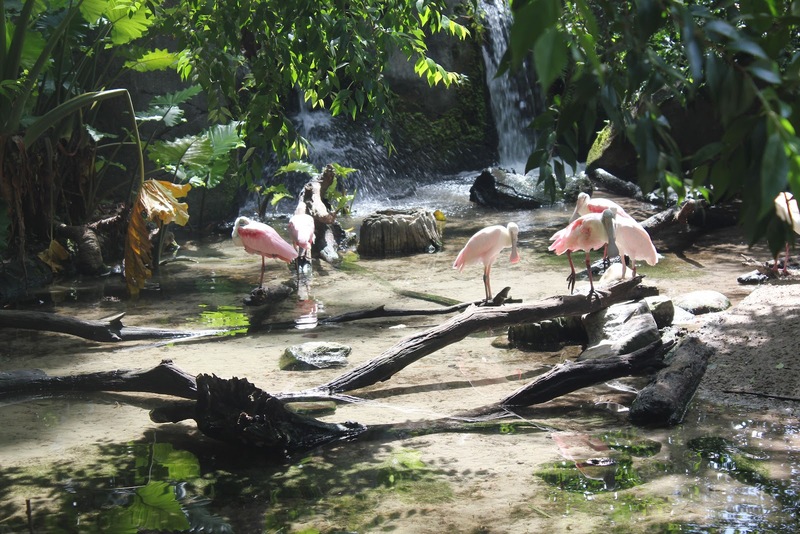 Like the more famous flamingos, these birds receive their pink color comes from the shrimp and other small crustaceans in their diet. 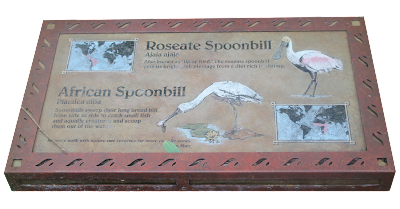 Named for its spoon-like bill, these birds sense vibrations inside it to know when to snap shut, catching their underwater prey. Roseate Spoonbills build large nests rom sticks, twigs, and grass and lay several eggs at a time. 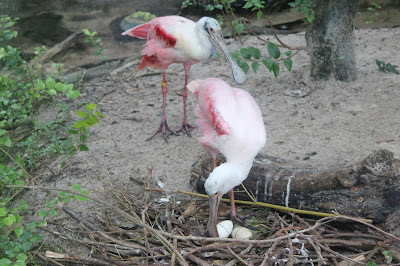 Right now, visitors rushing into Animal Kingdom often miss that the Spoonbills are currently nesting. 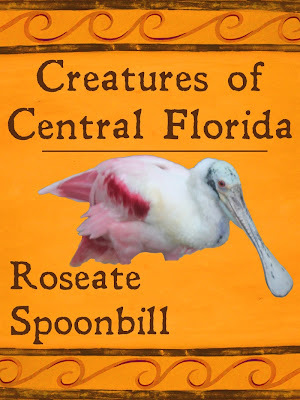 You can watch them build their nests and tend their eggs, and occasionally grow defensive when a particularly threatening looking tourist passes. 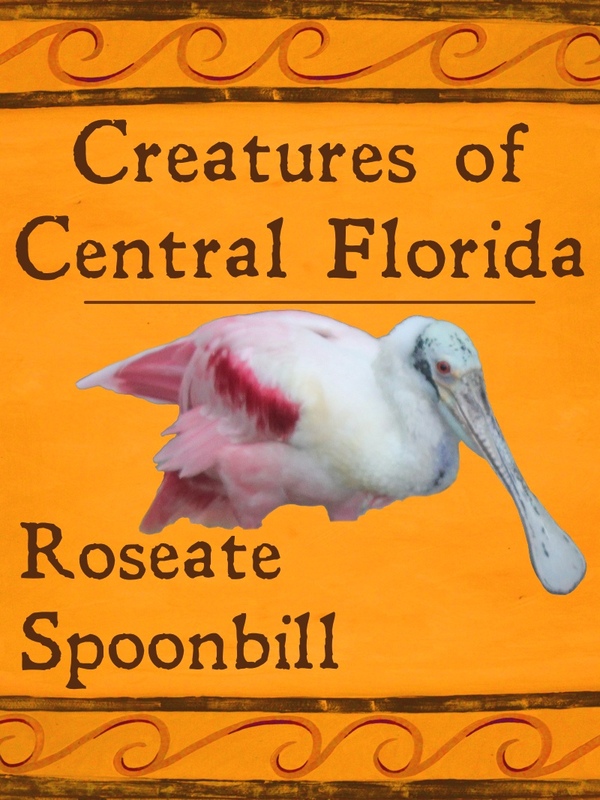 It's a fascinating look up-close at the entire nesting process. 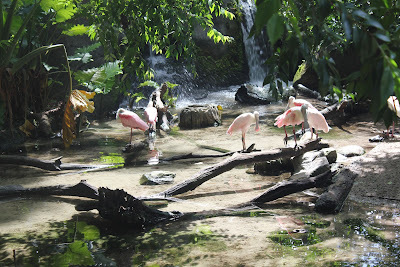 Additional information on these birds can be found on the Inside Seaworld page as well as Tampa's Lowry Park Zoo site.